Fate is the hunter for my holy grail. The "Tabo" Scandal at Townsville Queensland: an essential read for All Pinoys! A TOWNSVILLE man has been sacked for `un-Australian' toilet habits. Amador Bernabe, 43, uses water to clean himself instead of toilet paper. Mr Bernabe, a machine operator on a working visa from the Philippines, said it was his culture. But on Thursday he got the shock of his life when his foreman followed him into the toilet questioning his toilet hygiene. Mr Bernabe said his employer Townsville Engineering Industries (TEI) sacked him yesterday for not going to the toilet the Australian way. TEI, which is located at the Bohle, could not be reached for comment yesterday. The move has angered union bosses and politicians on the Australia Day weekend. "I went to go to the toilet and I took a bottle of water when my foreman saw me and he said `you can't bring the water in there'," Mr Bernabe said. "I asked why and he said it wasn't good but I said it's our way and he followed me into the toilet. "I said it's my personal hygiene. I didn't break any law, I didn't break any rules of the company, why can't I do this, and he said he would report me to the manager. "The next morning when I came in I went to punch my time card and he told me the manager wanted to talk to me in his office. "He asked me what had happened and I explained to him and he said if I didn't follow the Australian way I would be immediately terminated and I said `sir, then you better terminate me'.."
Australian Manufacturing Worker's Union state organiser Rick Finch said the incident was shocking. "I think it is atrocious, an invasion of a person's rights and cultural beliefs," he said. "The paradox of the toilet and a person's actions is something that no boss can even think about interfering with and the thought that bosses think they have the control to get involved in the toiletry is a gross invasion of an employee's privacy. "If it wasn't so disgusting it would almost be laughable." Mr Finch slammed the move as `bigoted'. Greens spokeswoman Jenny Stirling praised Mr Bernabe for standing up for his rights. "I commend the man for standing up for himself and I encourage the employer to have further talks with the union and the employee and I am sure commonsense will prevail," she said. "I would like to see how Australians feel when they go to Europe where in places they don't have toilet paper." Thuringowa MP Craig Wallace said the company should re-evaluate their priorities. "Employers should be worried how their business operates rather than what their employees do in the loo," he said. "I know in a number of cultures using paper to clean yourself is considered an offence because of their beliefs. "If he is being hygienic and not bothering anyone else then good luck to him." Mr Finch said employers should be more tolerant of their employees, especially in Mr Bernabe's case where he has been brought to the country by TEI on a 457 visa. "At the end of the day we are a multicultural society and if they want to import workers then they need to be tolerant of other workers and other cultures," he said. "They don't own these workers, they are borrowed and hired to carry out a job. "The thought these bosses think they can lord it over these workers is insane. "What it shows is the company's complete arrogance for workers' rights"
Mr Bernabe, a father of four, had been with the company since April 2008 and said he had no problems until yesterday. "It's hard work but it is my skill so it is good," he said. "The only problem was yesterday." Ayao baya nig buhata ha kon naa na mo dinhi sa mina nagtrabaho! The old adage, "when in Rome live like the Romans", also holds true in this case. "true love is life's best treasure. bring no joy or lasting pleasure. true love abides all way. if one true love i know." Everyone, who came into my world, left footprints in my heart. Some, so faint, I can hardly detect them. Others, so clear, I can easily discern them. Regardless, they all influenced me. They all made me who I am. 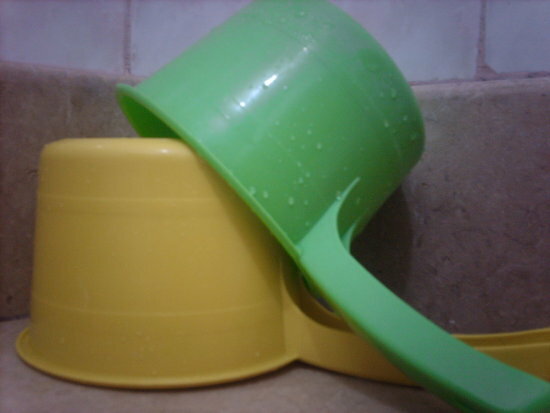 Ang "tabo" sa Lilo-an means "market day". Occurs once a week. That's the only day when cow and pig meat and a few others are available. While still living in Pasig, tabo was during Sundays. Vendors from the provinces flocked in the churchyard selling pinuti, plangana, pots, native crafts, etc, etc. Came by cow-pulled cart -- similar to the wagon seen in western movies. Wonder if mao pa ba na karon. Miss those days. Here in Australia, it's called flea market. While still new here, tabo in Sydney cbd was in Paddy’s market right across Chinatown. Saturday pm lang. Practically all businesses in cbd ended Saturdy noon. Downtown became almost a ghost town. Bsag unsa lai gibaligya dha. Those were the days. Hehehe. Karon, once a week na lang mag-closed. Sydney cbd is alive 24/7. Daghan na man gong Asiano. But most flea markets in suburbs still open weekly only. bibo sab na nga tabo pareng juan, cge ko panabo sa una, maninda ug mangga everytime nga naay tabo sa kada lungsod diri sa bohol.